Designed for owners who prefer minimalist protection, Moshi's iGlaze Pro 13 R perfectly complements and protects your MacBook Pro 13 with Retina display. The precision-tooled polycarbonate hardshell case is thin, lightweight, and extremely durable. It also has a unique micro-clip design for easy installation and removal. iGlaze Pro 13 R is surface-treated with a specialized coating that not only offers better scratch resistance, but also accentuates the device's elegant design. 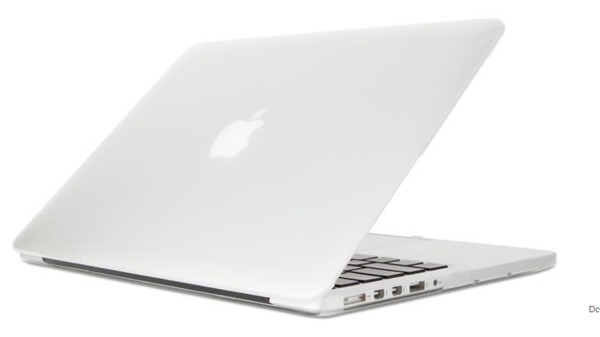 The two-piece construction can be installed or removed in seconds and is 100% compatible with Moshi's full line of protection for MacBook Pro with Retina display.